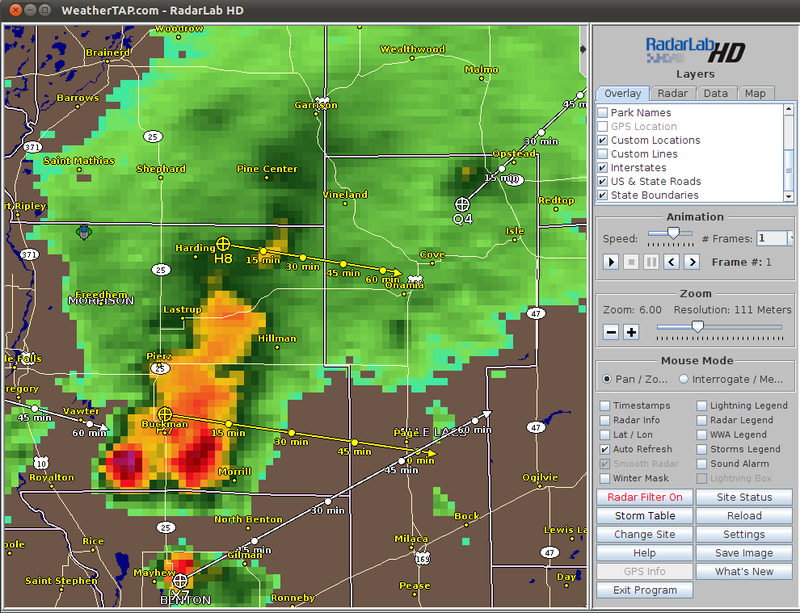 I use RadarLab HD on my Linux machines for Level 3 radar info. I like the application because it is Java based which means that it will run (in theory) on both Windows and Linux. My desktop PC is an AMD64 bit based system. I have Ubuntu 11.04 64bit installed. This is my only 64 bit machine in the house and frequently end up trying to figure out to get 32bit applications to run on the 64bit OS. In this case I need to install the Sun Java implementation so that I can use the *.JNLP extension with the Java Webstart utilities. Once that was completed I am able to launch RadarLab HD on this machine.